I recently discovered a new blog - Aunt Peaches - and her entries really make me laugh. She has some great craft projects and her Yarn Hearts really caught my eye. I have lots of yarn and it seemed something easy that my littles could do with me. 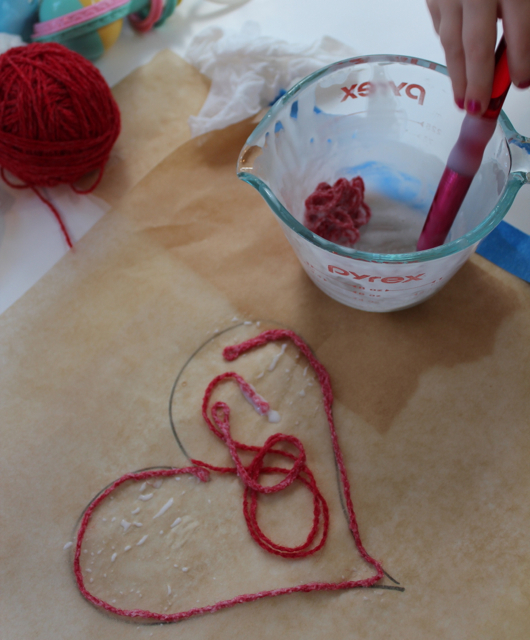 Here is another tutorial that uses corn starch for the glue:Spoonful: Warm Hearts, Sticky Hands. This is so easy. 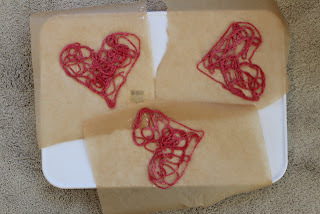 I drew my hearts onto the greaseproof paper freehand. I used some red yarn we had floating around I used Elmers school glue (ratio of 1 part glue 2 parts water). After we had had our fill of making the hearts we put them in our boiler room (the best place to dry crafts - especially paper mache) on a tray and waited for them to dry. 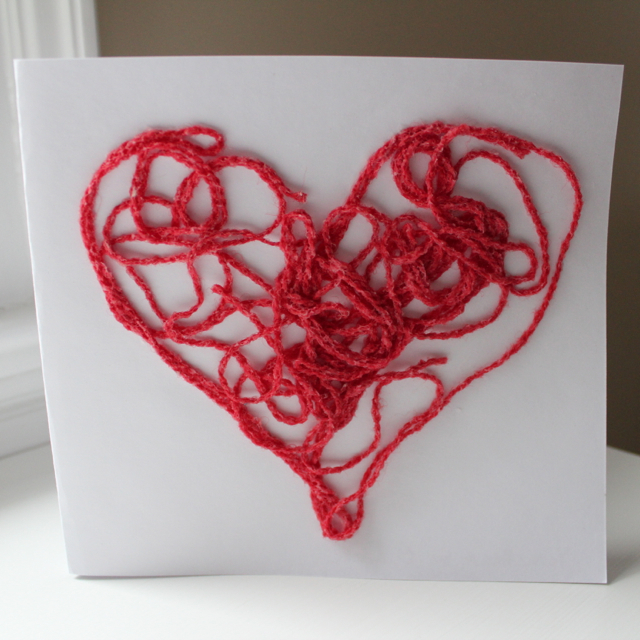 Once dry we placed them on some card instead of hanging them up to make valentine cards.